Pow Music helps musicians develop their craft, stay inspired, and share their music. Pow Music founder Gary Heimbauer has taught Modern Band and Music Education concepts all over the world to both teachers and students as a public school music teacher and Director of Curriculum for Little Kids Rock. He and his network of talented music instructors are based in Austin, TX. Whether you're in Europe, Asia, USA, or the North Pole, as long as you've got an internet connection, Gary and the Pow Music crew can be your personal music coaches through Skype, Google or Facetime. By taking lessons with Pow Music, you'll get access to all of our video courses for free! At Pow Music, we are continually creating cutting edge courses to help creative music makers of all levels develop their craft and unlock their creativity. By taking lessons or enrolling in a course, you'll have access to our supportive online community and open mic nights where you can perform or support your peers! Pow Music's mission is to help creative musicians develop their craft, connect with others, and share what they do with the world (even if that is just their friends and family). Pow Music was founded in 2016 by musician and educator Gary Heimbauer after many years of teaching children and adults as both a public school music teacher and the Director of Curriculum for leading music education non-profit Little Kids Rock. Gary had his first guitar lesson when he was six years old and loves playing music more now than ever! He’s also been teaching privately and in classroom settings for more than 10 years. From 2006-2010, Gary taught at Day Jams Music Camp and the School of Rock while getting his degree in Music Education. 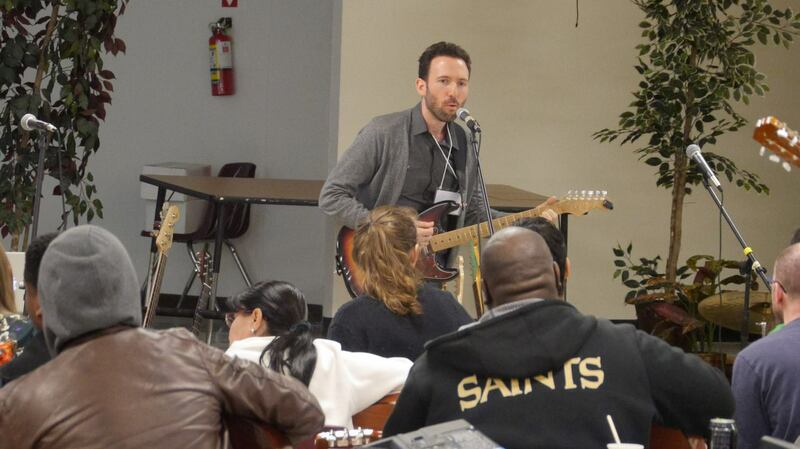 From 2011-2014 he taught Modern Band and General Music to students in Pre-Kindergarten through 5th grade in a New York City Public Schools where he earned tenure. 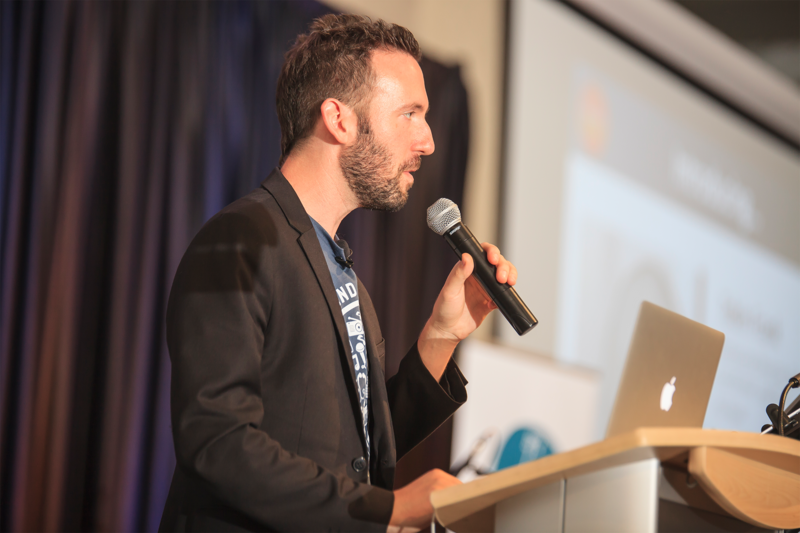 Although he thrived in the classroom, he left to become the Director of Curriculum for Little Kids Rock from 2014-2016, where he was able to spread the message of popular music in the classroom across the country, training public school music teachers in over 15 cities and in Haiti and Australia, providing them with unique student-centered curriculum for their classroom. Gary is also an active performing musician, and is excited to have recently moved to Austin, TX - a city with such a rich musical history and culture. Before moving to Austin, he played with his soul-rock six piece band The Dirty Gems at venues such as Rockwood Music Hall, the Highline Ballroom, and at the Mountain Jam Festival in upstate New York. In 2014, he completed his Masters Degree in Music Education at Teachers College, Columbia University and in his spare time he enjoys skateboarding, playing handball, travel, cooking and writing lyrics and poetry. Gary's love of music began when he was just a toddler, listening to Elvis Presley on his Grandparent's record player. He soon after got a guitar for Christmas and began to imitate his first idol. When he was six his mother bought him some guitar lessons, but this initial training turned him off to the instrument for many years, due to the formality of the lessons and a pre-mature focus on technical studies and music literacy. This experience has been the fire behind his life's mission as an educator, motivating him to find ways of facilitating learning that take into account, first and foremost, the natural interests of each student. Through this student-centered approach, those that study with him are given only the information that they need, and as they need it, to begin making-music right away. 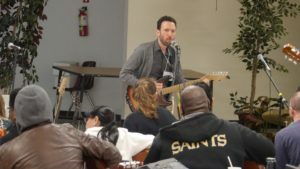 Gary’s main focus is to help foster a unique musical voice in his students, providing many opportunities for improvisation and composition. Gary’s classroom students have received national awards through the Little Kids Rock annual Songwriting Exhibition. If you're ready for an exciting learning experience, no matter what your age, level, or location, reach out to Pow Music now and let's do this. We specialize in Guitar, Keyboard, Bass, Drums, Vocals, Music Production and Songwriting.